This is another of my favorite French salads. 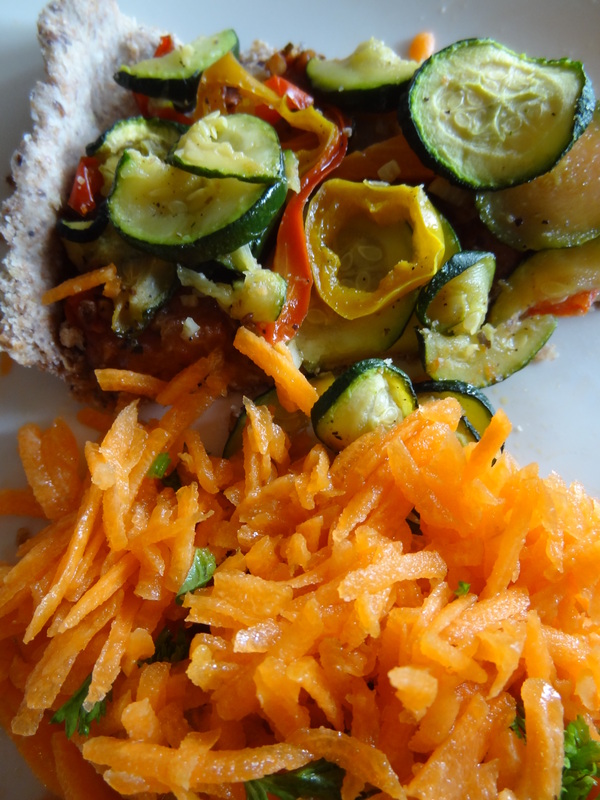 Easy to make, fresh, healthy, and can go with so many meals like pizza or quiche. 2. 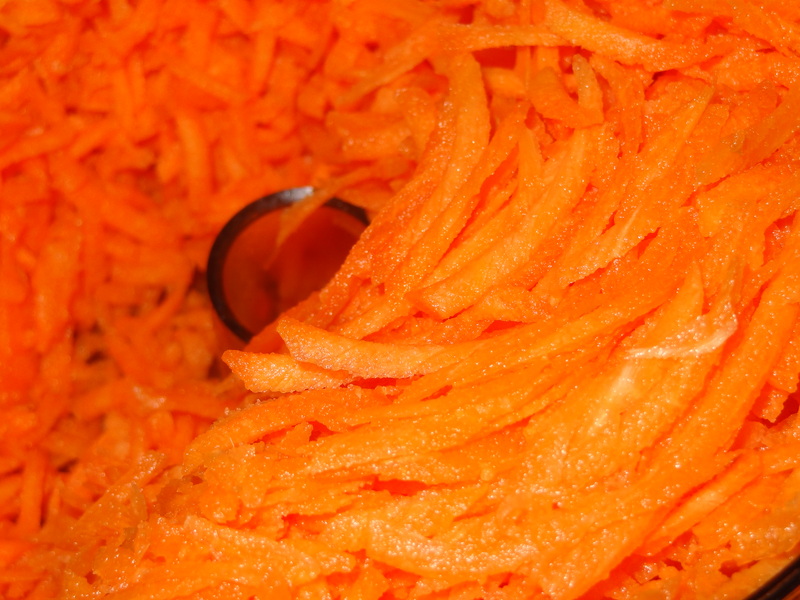 Fit a food processor with the grating blade. 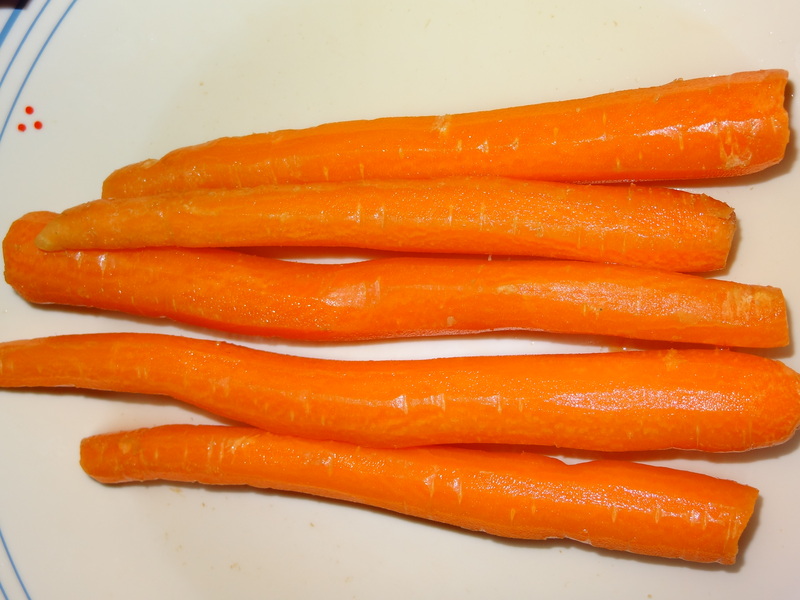 Add the carrots in the feed tube. Process in batches. 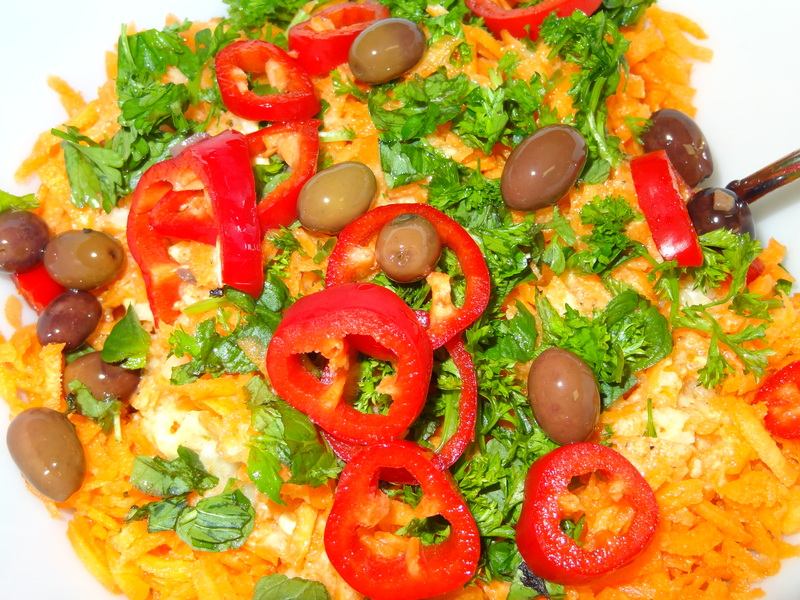 Place the grated carrots in a medium bowl. 3. 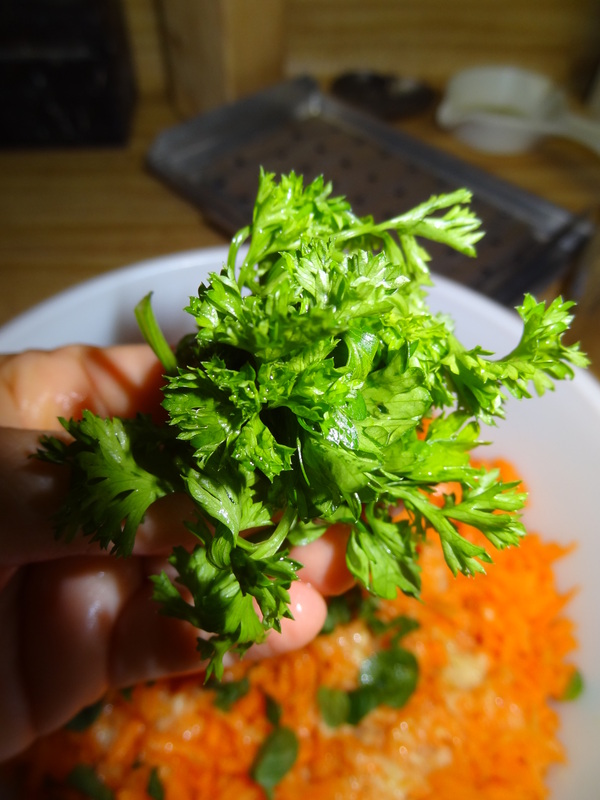 Add some fresh parsley and mint cut finely. 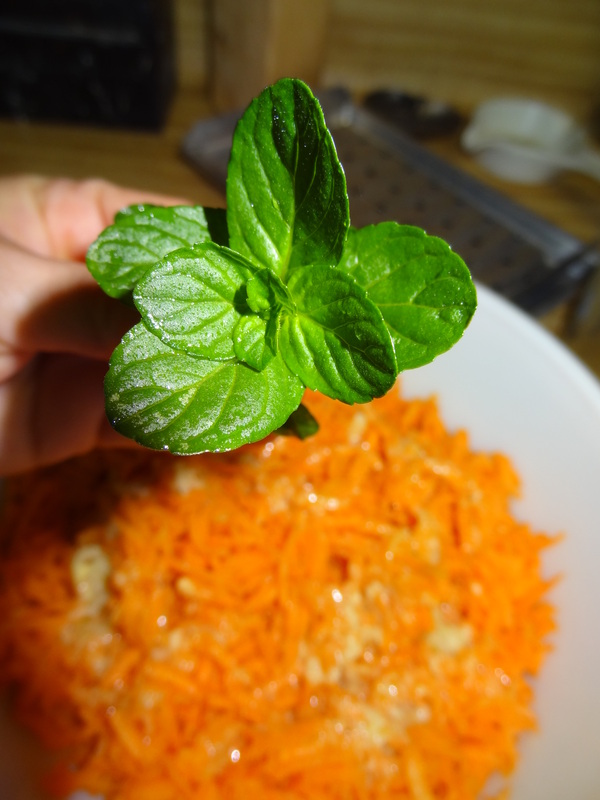 Love mint in carrot salads ! 4. add some French Vinaigrette. Taste. Add salt and pepper to taste and some olives. 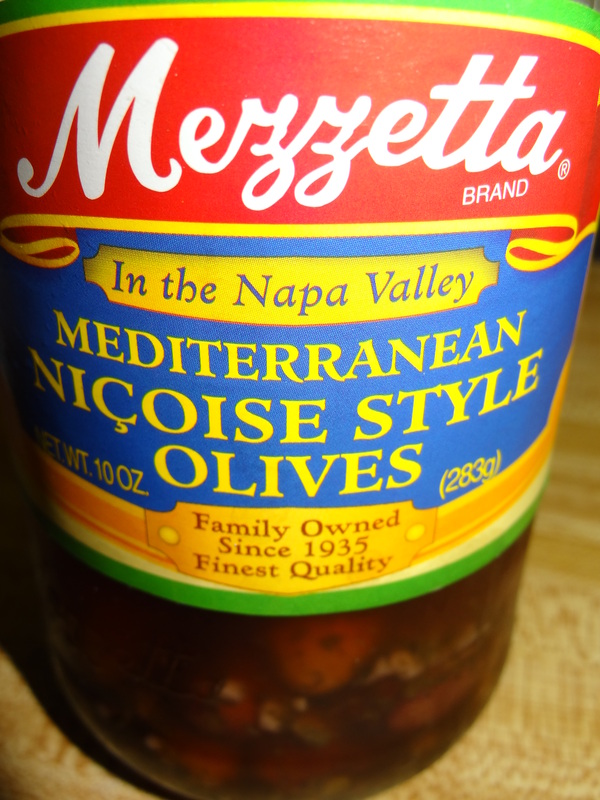 We love Kalamata olives or these Niçoise style olives.